It won't take anyone by surprise to know that Nepal is one of the countries that has always suffered through gender discrimination (against female) from the time anyone can remember. Nepal holds many interesting, yet, tragic events related to women’s discrimination and movements against it. A hundred and four years of strict Rana regime and then Shah Dynasty (Panchayat system) has for enjoyed popularity for many other reasons including its patriarchal nature. Women in our country had to struggle to achieve equality in comparison to men so the extent that some were abused by the rulers, sent to jail, kept underground and, the worse of all, many had to face death. Fundamental freedoms such as the right to live, right to health, right to vote, right to speech and many other rights that led to liberation was something women of our country weren't even aware about. Cruel systems such as the sati system (women to be burnt alive along with her dead husband), Chaupadhi, dowry, lack of involvement in any sort of decision making and no direct contribution in economic development were some of the reasons that pushed female the gender towards the life of unjust and unequal treatment. To be precise, not the entire country followed the system of sati. However, some ethnic groups such as Rai, Limbu, Gurung had the tradition of the widow getting married to her late husband's brother (even if it's against her will). These are only some examples of women’s exploitation in Nepal when, in reality, our women have faced all kinds of discrimination, starting with their own husband, family, household, institutions, government body and community as a whole. In countries like Nepal, where women were oppressed by males on all kinds of levels, there was another factor that added suffering to the already existing suppression of female members and that is: Misogyny. Misogyny is a situation where women, who had little power, suppressed other women in their family or society in any way possible. However, amidst the bold patriarchal regime in the country, there were some heroic female figures that took courage to speak and rise against oppression in pursuit of their rights and freedom. Their heroic actions and several historical movements is the only reason that women today are enjoying their rights to fullest. Out of many rights that women of Nepal fought for – most important rights they have achieved till this date are the right to vote and the right to candidacy. The right that was accessible to women only after years of continuous effort and desire. Looking back at 1864 A.D, when a woman named 'Yogmaya Neupane' in Bhojpur, took collective action against women’s oppression at the time of Rana regime. Since Yog was a child widow; society thought her life was doomed as the culture didn't allow for second marriage during those days. However, Yogmaya challenged the society and got married in her adulthood and also had a child. That decision outcasted her from the society she lived in. The tragedy and grief of being mistreated by her own society led her to write poems and songs that were against 'women oppression' and the need to end 'Patriarchal society'. She used her creativity by writing songs and poems to make other women aware about the need for 'women rights'. During those days, poetry and songs were powerful weapons to spread awareness about any sensitive issue existing in society. Soon motivated other women in the society and gradually the number of her followers grew. As she gained more support she travelled to Kathmandu to meet the ruler of that time, "Juudha Shamsher Rana," and to propose her demands to promote 'women rights'. In such a country where women weren't even allowed to speak up in their own household matters, the step taken by Yogmaya was something that needed lots of courage. Even after her continuous effort she did not get any positive response from the rulers. Thus, frustration grew among Yogmaya and her followers. They, then, decided to pressurize the government by hooting with the slogan “If the demands are not fulfilled, we shall die.” As none of her demands were fulfilled, with strong disappointment and as a protest Yogmaya, including her 68 followers (both male and female), committed mass suicide by jumping into the 'Arun river'. This is the first time in the history of Nepal where women protested to such an extent for their rights and this is the event that motivated upcoming events on 'women rights' and the 'Rana regime'. Following that event, the first women’s group was established in 1917 A.D in Nepal, advocating for the need of women’s education against Rana regime. After that, many women’s groups, including 'Nepal MahilaSangh," were established to work for women's security, education, labour rights and others. For the first time, in 1950 A.D, an election was held on Municipal level but it did not support the participation of women in the election. The women of the country started to protest against such decisions, demanding their right to vote and the right to candidacy. Increasing tension and riot in the country compelled the rulers to give up and grant the right to vote and candidacy among women. For the first time a women "Sadhana Pradhan" was elected. That election was followed by the establishment of several other political parties that created an unfavorable situation for women to work as a single unified group. A compulsion for a party to have at least one female member divided women among different groups. The next milestone was the establishment of "Akhil Nepal MahilaSangh" in 1950 A.D. After this, different groups were established to promote all kinds of women’s rights. Since then, on 8th March, 1982 A.D, "International Women's Day” was celebrated in Nepal for the first time. Women’s groups then came up with several other demands such as the right to property, right to citizenship by the name of mother, and others. In 1989 A.D Nepal went through its first People's Movement. In some ways, this movement brought some progress in women's conditions. The constitution formulated in 1990 A.D had positive points for women’s rights and for their equality. However, at the same time, even though the constitution was somewhat progressive for women it still failed to promote women’s participation as advisory members of constitution development which consisted of 9 members who were all male. The next supporting factor of 'women right' was the introduction of 'The UN convention on the elimination of all forms of discrimination against women'. This led to the formulation of many policies even though it was not effectively implemented. In the election of 1997 A.D it was compulsory to have at least one female representative in the wards of VDC and the municipality. This declaration increased the number of women’s candidates to 44,120 in the election. Looking at the scenario of women after 2006 A.D., it is seen that the post second people's movement under the leadership of Bidhya Devi Bhandari (Current Female President) and member of Congress Party Kamala Panta, a policy was introduced that stated, “In every sector there should be 33 percent participation of women.” This was a major achievement for women’s rights advocates in the history of Nepal. In the interim constitution 2006 A.D it had several policies against gender discrimination. However, even after the involvement of several policies on women rights in the interim constitution, women had to protest and struggle to include female representatives in the formulation of the constitution. Their protest led to the formulation of a group of 13 members, that included 4 female members and rest representing several ethnic groups and the policies were reformulated. Among four members who were included in the committee, one of the members is Shushila Karki (former female chief justice). The next is the formulation of the seventh constitution of Nepal in 2016 A.D. As per the provision of this constitution, it is mandatory to have at-least one female member in executive position because the number of female candidacy and female voters increased in the 2017 A.D location election. The current situation is that, after the recent election, Nepal has achieved its first female President, female chief justice and first female speaker of the parliament. Representation of female member in three significant area (executive, legislative and administrative) of the government body has made the history of women’s rights achievements in Nepal. The sincere effort and struggle of women that is recorded to have been started in 1864 A.D by Yogmaya has now achieved tremendous success to some extent. Since then it took one hundred and fifty years for women to get to the position they are in today. Similarly, other achievements in current times are the attainment of citizenship in the name of mother, property rights to daughter, rights against sexual harassment and others. It can be clearly seen that a conservative and strictly patriarchal society of Nepal has been reached as of this date. Tremendous participation of female members in almost all sectors of work and levels today is the result of a hundred years' worth of strong dedication and genuine effort that now changed the face of gender discrimination against women in Nepal. Still, this should only be seen as another milestone rather than the end as only a particular portion of female gender are fully utilizing and enjoying discrimination-free life whereas there still remains a significant portion of women who are still oppressed in their own community. At the same time, trafficking of women has not been reduced to greater extent, nor has the violence upon women based on dowry and gender discrimination which is still prevalent. Similarly, even though the policy has been introduced, it is not easy to get citizenship by the name of the mother and property rights for daughters still lack clarity. Existence of such issues, and it being mentioned time and again, is not a way to demotivate. Rather, it is a reminder that, if we can have 33 percent participation of women in the constituent assembly and female representatives in three major positions, the existing problems are easy to deal with if everyone works transparently and effectively. The need to create equality among all genders in our country is getting more attention and priority than ever before. International affairs, events and efforts for women’s rights have always influenced movements of women's right in Nepal and this continues to influence Nepal on different aspects to this date. 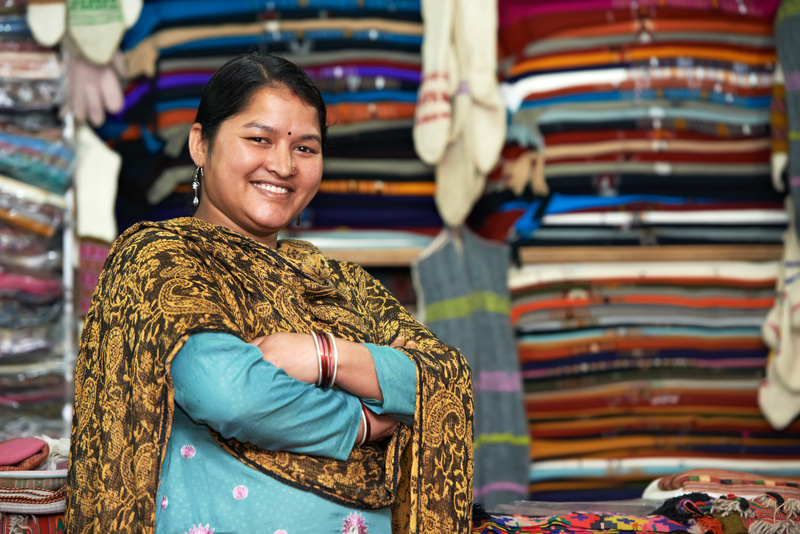 Globalization has made Nepali women more aware about their freedom and rights. Even in the rural areas, women are becoming aware of their several rights and now refuse to live their life in discrimination. However, there is a large portion of women in both rural and city areas that are still living the life of suppression and their rescue should be a major priority today. Until now, Nepal has reached great results in the effort and struggle of women and this is an example to the world in regards to the power of feminism. The revolution that Nepal has experienced in terms of 'women's right' shows the power of unsatisfied citizen and the strength of the desire to gain equality.